Saturday morning of Passover, Easter weekend of 2018, Geraldo Rivera on Fox and Friends spewed the most anti-Semitic, vile lies about Israel I have heard to date. 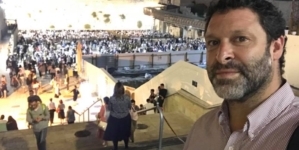 This so-called ‘legendary journalist” called Gaza a “concentration camp,” and claimed on air the same lies promoted by the worldwide anti-Israel BDS movement. It is the worst anti-Semitic rhetoric. And it was in my living room on Passover! The facts are that Hamas, the elected ruling party of Gaza, is a designated terrorist group funded by Iran that has been condemned by the U.S. Congress for using its citizens as human shields. 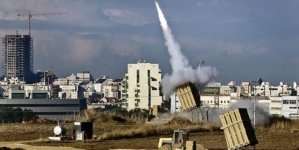 In the past Hamas militants shot rockets at Israel, hiding the rockets in hospitals and schools to ensure that if Israel retaliated innocent citizens would be killed. They would then film this, publicize it for the world media to condemn Israel. The U.S. House of Representatives passed the Hamas Human Shield Protection Act in a unanimous bi-partisan vote of 415-0 on February 14th, 2018. It is now in the foreign relations committee of the U.S. Senate. Hamas is doing it again. They are using their citizens as human shields today. They have have sent their citizens to riot at the security border with Israel and throw stones at the Israeli soldiers. Media reports over a dozen Palestinians have been killed by the return fire from Israel. 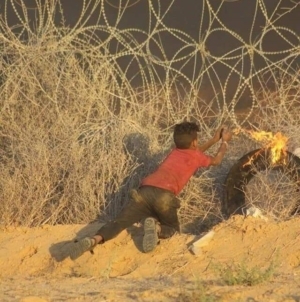 Many Gazans armed for terror attacks have snuck across the border in the last few days leading up to the riots. Now the rioting crowds are attempting to weaken the Israeli security forces. Primarily they are there to get media attention. They will attack Israel on the world stage of propaganda. 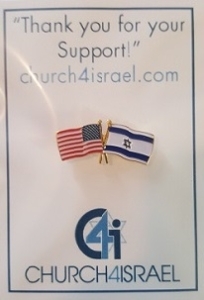 They are also protesting the United States opening the Embassy in Jerusalem in May. The propaganda game is working as the U.N. Security Council has called for an emergency meeting. The U.N. is notoriously famous of attacking Israel when Israel has had to defend agasitn terrorism. The problem is that this isn’t about debating opinions. This is about historical facts. There is truth and there is a created lie. 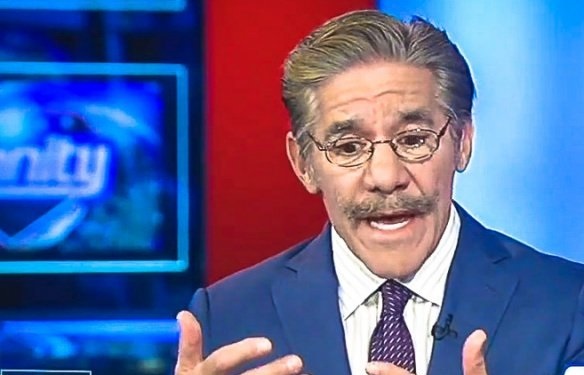 Geraldo Rivera has been brainwashed by far left anti-Semitic anti-Israel rhetoric which has no resemblance to the truth. He is using his platform of trying to sell his book to put these lies out over the airwaves. These lies have been condemned by the U.S. Congress overwhelmingly bipartisan votes. Lies of this nature have been also condemned by 28 states with anti-BDS legislation. This rhetoric has been condemned by our United Nations Ambassador NIkki Haley. 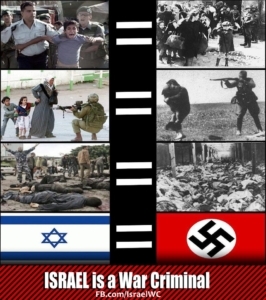 It is the same propaganda, even worse, than that used by the United Nations Security Council in their constant attacks against Israel, while never condemning the terrorists in Gaza. This propaganda is generated by the anti-Israel Boycott Divest and Sanctions (BDS) movement that is attempting to cripplie Israel financially and politically. It is history trying to repeat itself as the Jews were crippled financially throughout Europe before the Holocaust based on lies and false propaganda just like this. In 2015, after a barrage of attacks on Israel, the Palestinians went to the United Nations and attempted to file war crimes against Israel. In 2005, in a “Land for Peace” deal, Israel GAVE Palestinians 100% control of the Gaza strip. Israel forcibly made every Jewish family leave their homes in Gaza, literally pulling them out of their generational home against their will. Neighbors that lived side by side for generations were separated and scattered to far ends of Israel, destroying their lives. They did this to their own Jewish people in order to give Palestinians a strip of land they could call their own and completely govern themselves. Israel did this to try to get peace. 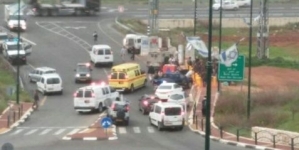 The over 80 car bombs, bus bombs and others were finally stopped by a security border between Gaza and Israel. The Palestinians in Gaza were now self governed. In 2006 they elected the terrorist organization Hamas as thier governing body, rather than the Palestinian Authority which governs the West Bank. Israel left an infrastructure of buildings and greenhouses in Gaza to give the Palestinian people a start at building a viable food source, infrastructure and workable environment for their community. Gaza could have been, should have, been developed into a thriving resort by the sea. Instead, the Palestinians of Gaza elected a terrorist group to be their government. They then proceeded to send thousands of rockets and terrorists into Israel. They forced Israel to build a security fence to stop the unbridled terrorism. Millions of dollars of humanitarian aid from Israel and around the world goes in to Gaza to help them build homes and infrastructure. Hamas has used it to build terror tunnels. These are tunnels under the ground into Israel where terrorist can sneak through and kidnap Israel security guards and kill innocent citizens. In 2001 there were 40 bombings in Israel, Killing 63 and injuring hundreds more. Hamas claimed responsibility for most of them. These bombings were stopped by the building of the security fence and border in 2005. The lie is made truth and the truth is made a lie, just as scripture tells us. For Geraldo Rivera to call the Gaza strip a concentration camp for the Palestinians is the most horrific analogy I can imagine. Israel passed a ban on BDS supporters entering Israel in March of 2017. Geraldo Rivera needs to be added to that list and be banned from entering Israel. As he goes on his book tour, his book should be boycotted by any friend of Israel. Dont agree on bit with Geraldo, but would be a bit hard for him to not be allowed in Israel. Mainly secular with leftist ideas.